Winter has been mostly pleasant in the Asturian Coast so far. Good weather during the Christmas period ensured a good catch, which was sold at top prices. Prices now have dropped, but some of the best reefs remain open to the barnacle gatherers. 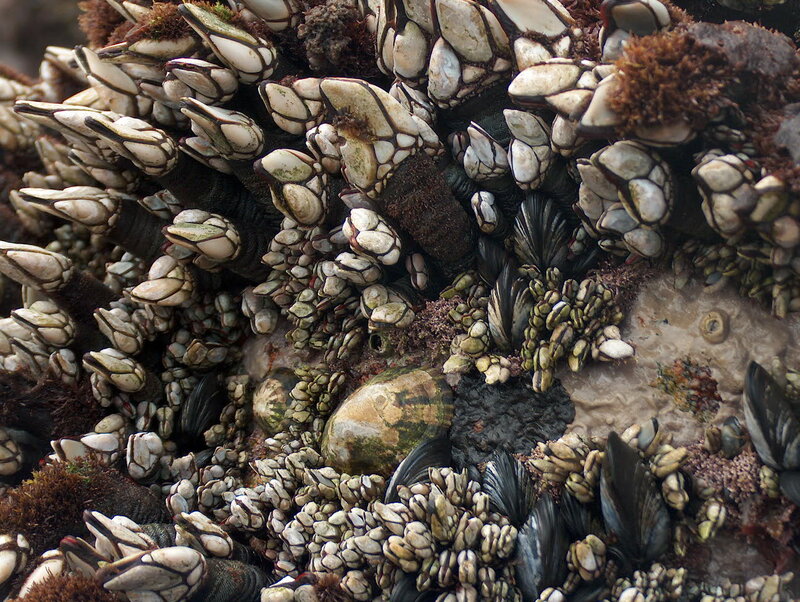 Abraham and Fran, from the Luanco fishers guild, kindly brought us to “La Erbosa” island, an impressive place where you can find some of the best stalked barnacles in Asturias. There we did a drone flight to capture a working day in this impressive landscape. 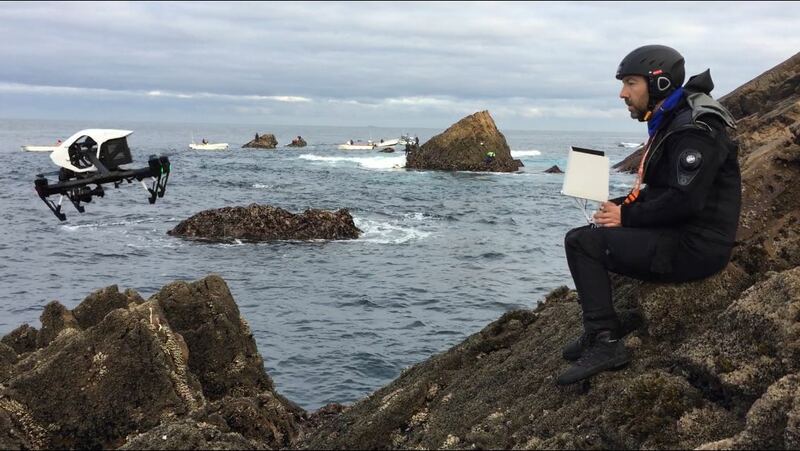 In the way back, Abraham stopped at the “El Corviru” to collect barnacles for the recruitment observations, which will allow us to validate the larval transport models. Without the collaboration of fishers like Abraham, this project would not be possible. Jorge Chachero, from DOCUMENTAZUL, while flying the drone at the “Monista de Tierra”. Some harvesters can be spotted on the rocks while the boats carry them among reefs. 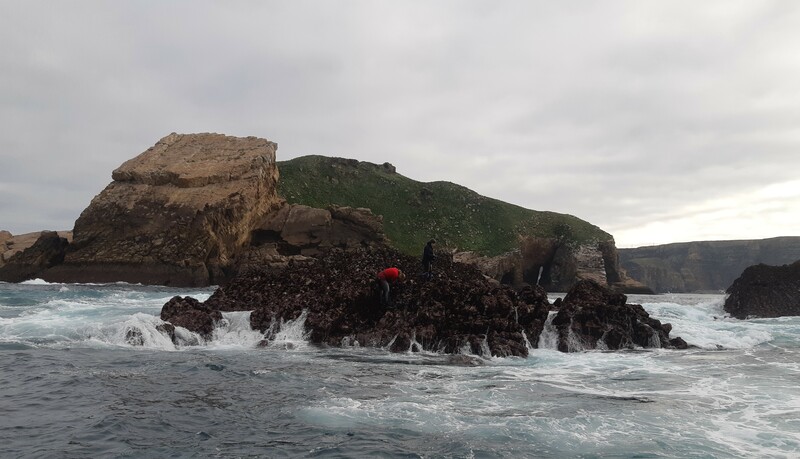 Stalked barnacle gatherers working at the “La Corverina”, a reef pertaining to the “Las Piedras de la Crianza” zone. In the background “La Erbosa” island, located 1 Km off the Cape Peñas, in Asturias, N Spain.